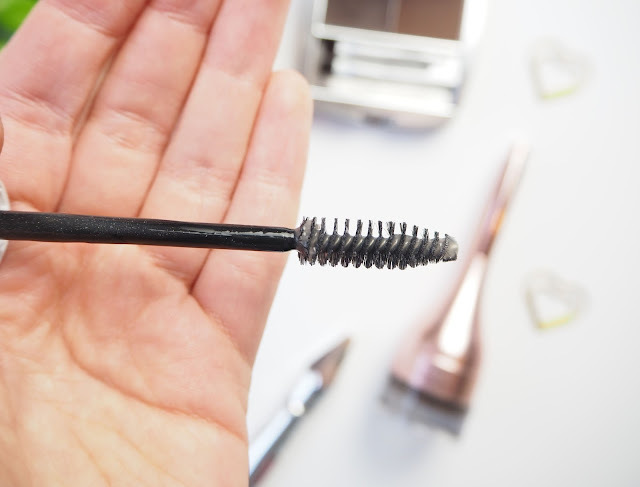 For the last few weeks I've made a point of switching up my eyebrow routine a little as I was using the same products day in, day out so I've added a few to the mix whilst keeping a some classics in my make up bag also. I have two things from Benefit both of which I have used on and off for a while now. 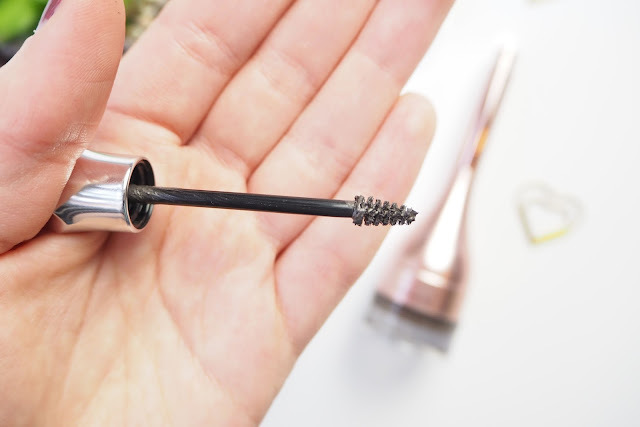 First is Brow Zings (£26.50)- I remember this back in the day when it came in the black packaging, obviously it's had a bit of a revamp since then but the product is still its same amazing self. I think the reason I reach for this so much at the moment is because it has it all in one, a wax to define and shape, a powder to set, a few handy tools and a mirror. You also need such tiny amounts with each application that it seems to last forever and ever. Gimme Brow is a tinted gel that's designed to give volume to your brows. 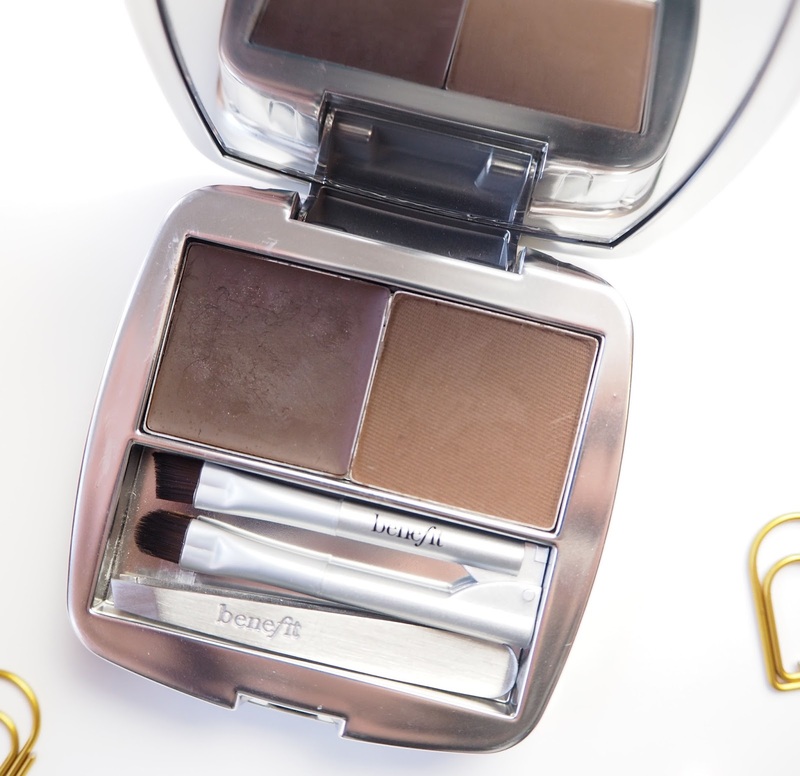 I find this works wonders on a lazy make up day, it makes my eyebrows look neat and tidy in no time at all- hooray! 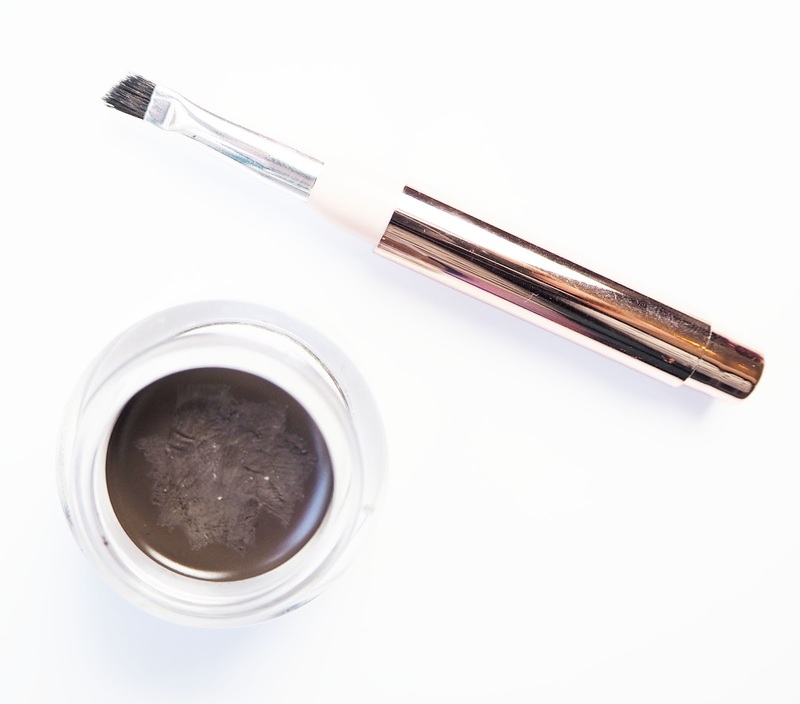 The miniature brush is so handy for a precise application and I find it combs through my brows hairs easily. To say my brows have a mind of their own is an understatement. They are all over the bloody place so I rely of products that literally cement them in place. 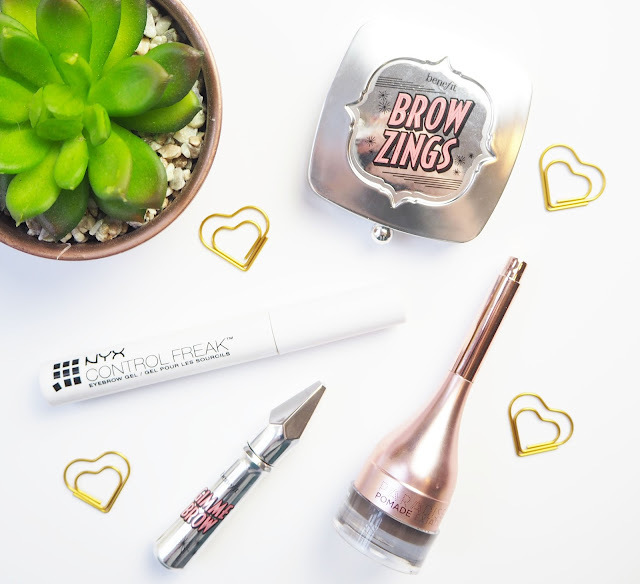 For months now I have been reaching for the Nyx Control Freak Eyebrow Gel (£6) and its a shame that I never hear anyone else talking about this! It applies from a mascara sized brush and this gel is great because its clear meaning it suits everyone. I find this layers over other products and doesn't leave you with a crispy or a wet looking brow, never the look I'm going for. Oh and have I mentioned its a bargain at £6? Pomades have been popular for a while now so I was so excited when L'Oreal released their own, the Paradise Pomade (£9.99). Since I added this to my stash I have been using it regularly and its become a firm favourite. I like the little brush it comes with as it gives a very precise application, you can really get in their and mimic hairs. The actual formula of this is great too, it goes on smoothly and isn't so pigmented that it becomes really easy to go overboard. Which brow products do you rely on?